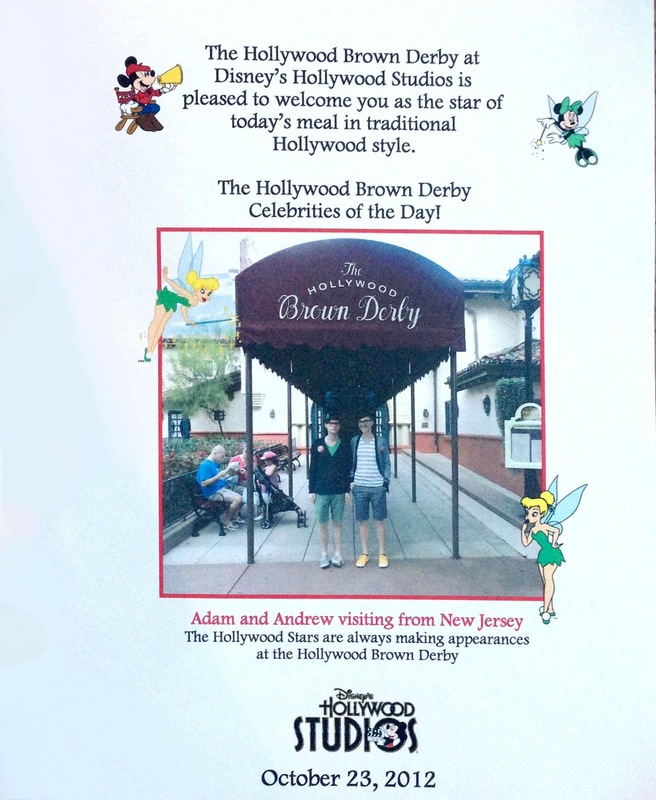 The Hollywood Brown Derby at Disney's Hollywood Studios is a close cousin to the chain of Brown Derby restaurants based in Los Angeles during the golden age of Hollywood. Great effort was made toward capturing the feeling of those original iconic restaurants, including its high profile celebrity clientele. To help set the stage for such wonderful elitism, the restaurant staff picks one family to "open" the dining room for the day. The chosen party is given their own derby style hats (though, to my delight they were black...because I don't wear brown.) and are given instructions on how to accurately play the part of celebrity. 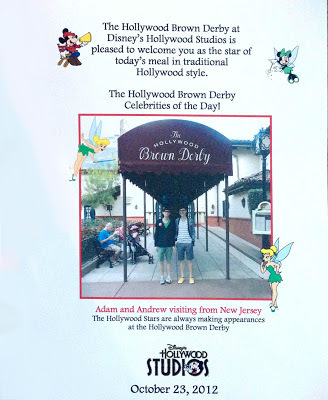 During the opening the celebs are paraded outside of the restaurant and through the lobby, toward the dining room where they "cut the ribbon." While all of this is going on the guests are being showered in glitter, and having their photographs taken. At this point, the family is walked to a special booth table decorated with glitter and spangles! But what happens to all of the photographs that were snapped? Was that all for pomp and frills? 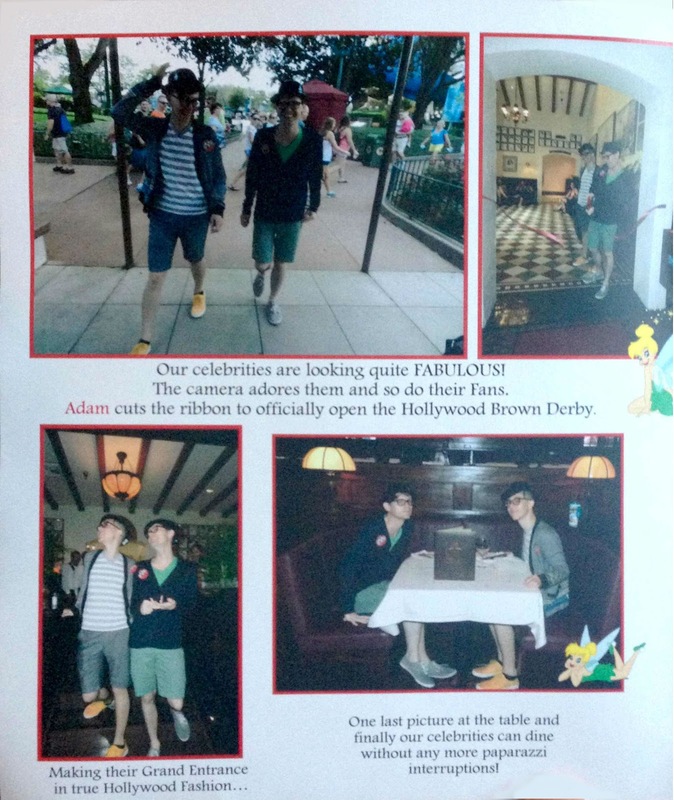 Heck no... at the end of the meal the special family is given a wonderful souvenir booklet telling the story. Have you been the celebrities of the day? Let us know about your experience! Maybe on Twitter or Facebook?